ASEEES has expressed grave concern about the increasingly restrictive climate for academic inquiry and scholarly research in Hungary via a collective letter to Prime Minister Viktor Orbán on March 18, 2019, a statement regarding the fate of the Institute of Political History in Hungary on January 29, 2019, and a Joint Letter concerning Gender Studies in Hungary on August 30, 2018. 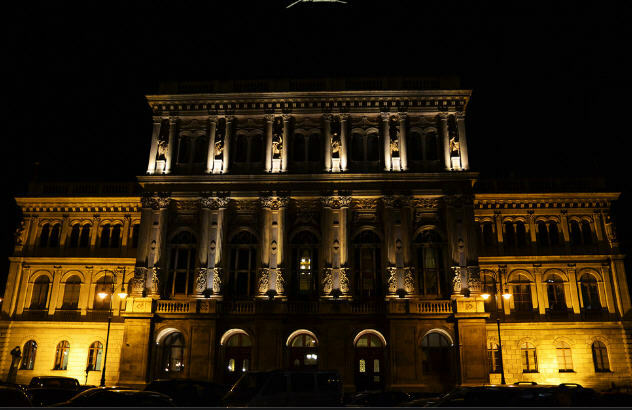 The following Hungarian Spectrum blog post by historian Eva S. Balogh discusses the Hungarian government's most recent attack on the Hungarian Academy of Sciences. Magyar Idők reported in early November 2017 that László Palkovics, in those days undersecretary in charge of education within the ministry of human resources, had paid a visit to Israel to discuss common interests in the field of innovation. He had meetings with Avi Simhon, the chief economic adviser to Prime Minister Benjamin Netanyahu, and Ami Appelbaum, who is the head of the Israel Innovation Authority of the Ministry of Economy. At the time I didn’t attach great importance to this somewhat unusual side trip, but in retrospect I believe that the idea of a new ministry of innovation and technology and even the “reorganization” of the Hungarian Academy of Sciences (MTA) might have been under consideration as early as the second half of 2017. During Netanyahu’s July 2017 visit to Budapest, Viktor Orbán apparently suggested an exchange of ideas on the topic of “innovation,” and therefore a few months later Palkovics was dispatched to Jerusalem. There he most likely learned that the Israeli Academy of Sciences and Humanities, one of whose functions is “to advise the Government on research activities and scientific planning of national importance,” bears little resemblance to its Hungarian equivalent. Unfortunately, at the moment the internet site of the Israeli Academy is under reorganization, but I learned from a government website that “the Academy manages a number of research funds based on contributions and grants from private individuals or agencies,” as opposed to the totally government-funded MTA. Thus, it looks to me as if the structure and functions of the two academies are very different. I assume that the Israeli model of an academy advising the government on research activities and scientific planning of “national importance” appealed to Viktor Orbán’s vision of the role of government. Scientific decisions, in his view, must be made by the government, and the academy should be only an advisory body at best. The Israel Innovation Authority, by the way, was earlier called the Office of the Chief Scientist. László Palkovics’s political activities so far haven’t inspired much confidence. On the other hand, his academic career was impressive. By the age of 35 he was made full professor at the Budapest Technological University, and seven years later, in 2007, he was chosen to be a corresponding member of the Hungarian Academy of Sciences, followed by full membership six years later. Once Viktor Orbán discovered the fast-talking and fast-acting Palkovics, there was no stopping him. After several Fidesz appointees failed at the “education reform,” in February 2016 Palkovics became undersecretary in charge of education. Palkovics is one of those engineers, unfortunately quite common in Hungary, for whom the humanities and social sciences are a waste of time. All learning should be subordinated to the interests of the state. For him, value derives from activities that have economic or material benefits. Other human inquiries should be discouraged. If it depended on Palkovics and his soulmate, László Parragh, president of the Hungarian Chamber of Commerce and Industry, Hungary would be transformed into one huge factory floor. During his tenure, however, Palkovics made little progress in “improving” the quality of education, although he was more than willing to assist Orbán in destroying the autonomy of the universities. Since last summer, when he became minister of innovation and technology, he has been hard at work demolishing the research institutes of the Hungarian Academy of Sciences. His aim is the destruction of the academy’s independence and self-government. His first move was to withhold 28 billion forints from the 40 billion designated for the academy in the 2019 budget. This sum of money was supposed to be used to fund the research institutes, which are now strapped for cash. And that move seems to have been only the first step, to be followed by the total reorganization of the network of research institutes that employ approximately 5,000 people. From here on, if Palkovics’s plan materializes, and there is no reason why it shouldn’t, financing will be based on individual grant applications for every project. The plan seems to have been hurriedly thrown together, and few details are available. We do know, however, that a National Authority of Scientific Research, Development, and Innovation (NASRDI) will decide on the grants that fall under Palkovics’s ministry. What is truly worrisome is that other research institutes, and universities as well, can submit grant proposals. The money taken away from the Academy will potentially be available to research institutes established by the Orbán government, which serve political purposes. For example, it could easily happen that the Academy’s money will end up supporting a biased biography of Bálint Hóman written by a historian of the Veritas Institute. Or Miklós Kásler’s idiotic Magyarságkutató Intézet may get sizable extra support from the same source. The consensus in the academic world is that Palkovics’s plan doesn’t serve the national interest, which is ironic from a government that claims to be the custodian of all national values. The plan, for example, disregards such vital projects, spanning generations, as the Magyar Nyelv Nagyszótára, the first complete dictionary of the Hungarian language, which, when finished will comprise more than 30 volumes. So far only seven volumes have appeared. How could such a project be handled in Palkovics’s scheme? It would be impossible to finance a project like that on an ad hoc basis. Articles that appear on the subject are full of foreboding. The best and the brightest will most likely find positions abroad, while many others will not be able to continue their scientific work because universities are so financially strapped that only recently 60 faculty members had to be let go at ELTE. Daily, headlines like “Science is in grave danger,” “The final hours of the Academy,” or “Message from the sinking ship of Hungarian science” appear. I don’t think they exaggerate. By taking over the allocation of funds, the government will pick and choose, most likely on the basis of political loyalty. This has been the story of the last eight years, and now Orbán has extended his reach to the 200-year-old bastion of Hungarian science.